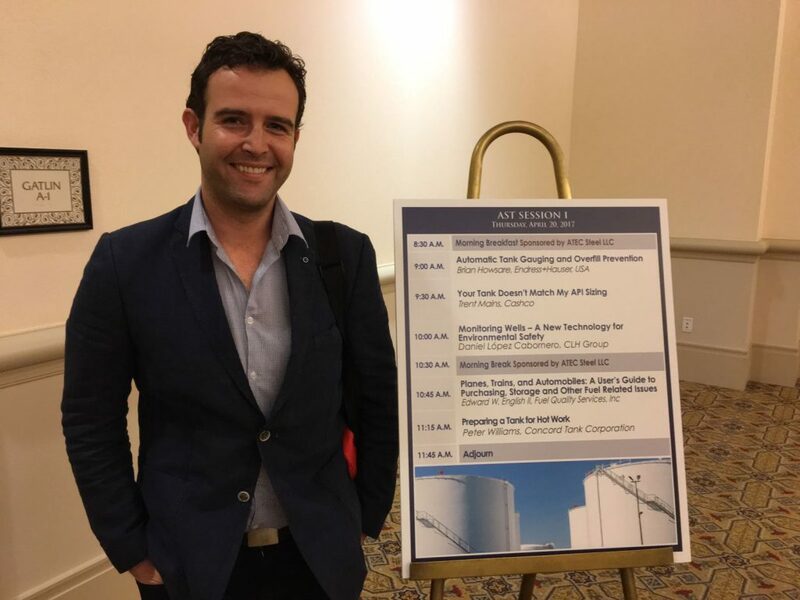 Daniel López Cabornero (CLH Group) ready to present the case study “Monitoring wells-a new technology for Environmental Safety”, in Orlando, Florida. Daniel López Cabornero is about to start his presentation about the CLH Group’s experience using Smart Sensor Technology Hydrocarbon Leak Detection System as a key tool for keep working their best in environmental safety. SST and CLH Group are together in Orlando, Florida to present in the 19th Annual International Aboveground Storage Tank Conference & Trade Show, the revolutionary system for leak detection in monitoring wells and the experience of the largest Spanish hydrocarbon logistics group (CLH) using it during the last 3 years. NISTM offers several one day classes throughout the year about management and operations of UST and AST’s. Our Annual International AST and UST conferences are designed for Engineers, Managers or other individuals involved with operation, construction, environmental compliance, spill prevention or response. This includes Management activities associated with above and under ground tanks. The Institute has a partnership with the National Organization of State AST Program Managers, and works with numerous state and federal organizations responsible for storage tank regulation, oil spill prevention and response, in addition to interstate liquid petroleum pipeline regulation.